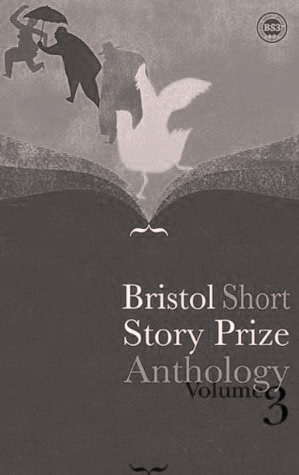 In 2010 I was thrilled to be shortlisted in the prestigious Bristol Short Story Prize. Here is the second and final part of my entry for that short story contest. The first part appeared in my blog on 30th June 2016. “Tone deaf, tone deaf,” Toni chanted in Mozza’s ear under the cover of Mr Leopold’s singing. She was silenced when Mozza’s fist connected with her jaw. At home time, Mozza’s pocket contained another detention slip. There was no mistaking Toni’s confident gait despite the weight of the cello case on her back. She looked like an arrogant black tortoise. “Get her,” they screamed together and hurled themselves over the field. They were on her before she saw the danger. Luke yanked off the cello and Mozza grappled her to the ground but she fought back, pulling Mozza’s hair. They rolled back and forth across the grass. Luke stood up, rubbing a bruised elbow. He stared at Mozza. It was his special face: both dead hard and deadpan at the same time. He pulled it whenever the other kids laid too far into Mozza. They’d see Luke’s face and scarper, but it had never been turned on Mozza before. Mozza laid the cello in the case and wanted to climb in after it and shut the lid. “You’ve gone soft,” Luke said eventually. Mozza was about to go after him when Toni saw her chance and went for a dead-leg, giving Mozza just enough time to grab her sweatshirt and take her down too. The punches were for Luke now. He wasn’t mates anymore because of her. Fury – white hot and burning – spiralled upwards. Mozza’s insides were going to melt if the rage didn’t find an outlet, preferably against Toni’s backside. No one disrespected Naomi and kept the use of their legs. She was Mum. She did her best. In her way. Toni sauntered over to Mr Leopold’s piano and lifted the lid. Only the risk of missing the target and kicking the piano instead, together with the thought of the ensuing permanent choir ban, kept Mozza’s boots away from Toni’s kidneys. Toni played the opening bars of something Mozza didn’t recognize. It wasn’t a bad tune although it hardly flowed under her fingership. It needed more life. It was like Luke, boring and bad-tempered, when the neighbour’s dog had kept him awake all night. Mozza looked at the piano keys. Whenever Mr Leopold played, his hands slid effortlessly back and forth as if stroking a velvet blanket. He’d taught the class how each note sounded and showed them where to find middle C. When you sneaked a go after choir, you could imagine it sounded the same, but it was different now with Toni watching. “You can’t play, can you? Not a single note,” Toni sneered, folding her arms. No way was Mozza giving her the satisfaction. With fingers like soggy chips, Mozza sat down at the piano stool and attempted the same notes Toni had played. It sounded rubbish, like trying to run across the footie pitch, pinched into last year’s trainers. But only a wimp would back out now without wiping the smug grin off Toni’s face. “It’s supposed to be in C minor,” Mr Leopold said, suddenly reappearing. Mozza’s fingers froze and then banged off the edge of the keys. It wouldn’t be just a choir ban this time. Mozza was buried. Mr Leopold ignored her. “Let me hear you play that again, properly,” he said. Mozza shuffled awkwardly on the stool. Play it Mr Leopold’s way and maybe there’d be a chance of getting back in the choir, but the music didn’t taste right. Something had to be said. Mozza’s hands set to work, creating the melody as they glided. Mr Leopold interrupted. “Have you composed anything else?” he asked. “If you play it for me first,” Mr Leopold said. Mozza started hesitantly. Was Mr L. for real, or was this some sick nightmare, some make-believe fairytale that would end in waking up in the flat with Naomi cider-snoring close by? Then Luke’s ice-cold angry face crossed into Mozza’s mind. That definitely hadn’t been a dream. Mozza wanted rid of the ugly memory and whipped up the music to recall the good times, like when Luke freewheeled across the sports hall on the library trolley and crashed into the Year Ten gym mats. Higher and higher Mozza played, beating, stirring, rousing, falling to low E and climbing back up again before crashing to an end with a thunderous set of chords.